Good evening, everyone! Most of my posts are early morning posts, or in the wee hours posts, but this one is coming to you at 9 p.m. EDT courtesy of Splitcoaststampers Virtual Stamp Night! 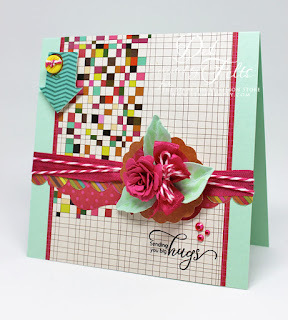 It's a virtual stamp weekend, really, with challenges from 5-9 EDT tonight and then again tomorrow from 1-10 p.m. EDT. Our theme this Spring is April Fools. 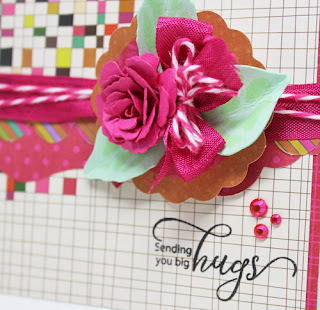 I'm hosting the 9 p.m. challenge tonight and I'm hoping that you'll join me! 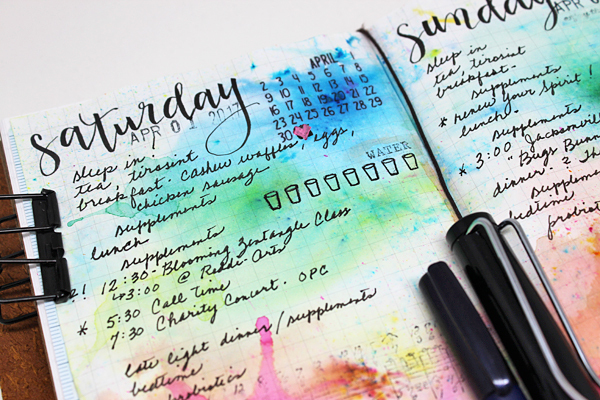 All you have to do is to take your planner, calendar, or to-do list, and make it pretty. Stamp, paint, draw, doodle...find a way to transform the ordinary into something beautiful that transcends the everyday, that speaks to your spirit to bring calm, energy, or enthusiasm for the (often mundane) tasks at hand. I use my TN to keep track of everything! If it isn't written down, it pretty much doesn't happen! It serves as a reminder to drink my water (especially on concert day! ), to take my supplements and meds, pay bills, keep appointments, etc. 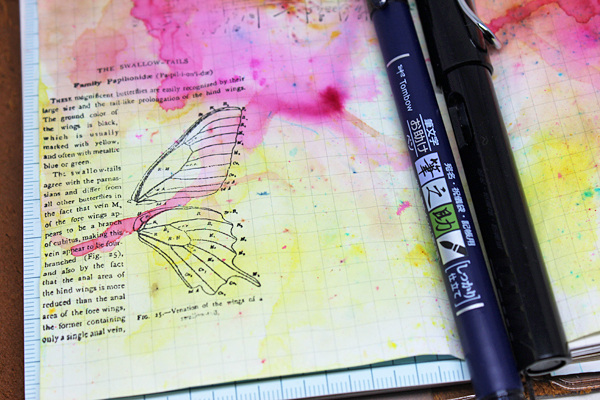 It also functions as a food planner/diary, a to-do list, a journal and sometimes even a scrapbook/sketchbook. I have found that a beautiful page in my TN can make even the most mundane of tasks more enjoyable. 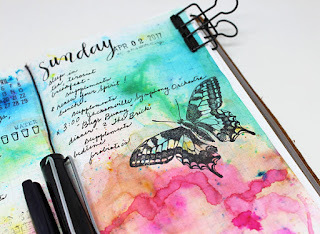 It's a great place to experiment and discover how colors play together, how various mediums interact, even to discover good ways to fix oopsies (like how to cover up the mistake I made when I forgot to mask the 31 when stamping the calendar for April). I use de Atramentis Document Black ink in my Lamy Safari fountain pen to write in my journal before any using water-based media. 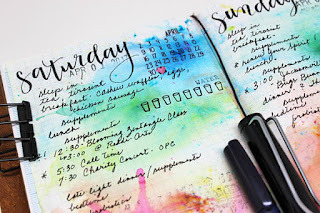 I hand-letter the day of the week with a Tombow Fudenosuke hard brush tip pen. Any stamping is also done using an ink that will not run, like Stazon or Ranger Archival ink. 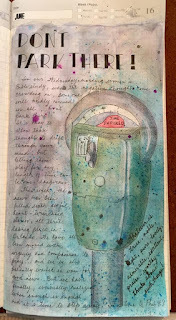 Then I'm free to use Magicals, distress inks, watercolors, or other water-based media without fear of ruining what is already documented. It gives the paper this wrinkly, crinkly charm that I just can't explain! 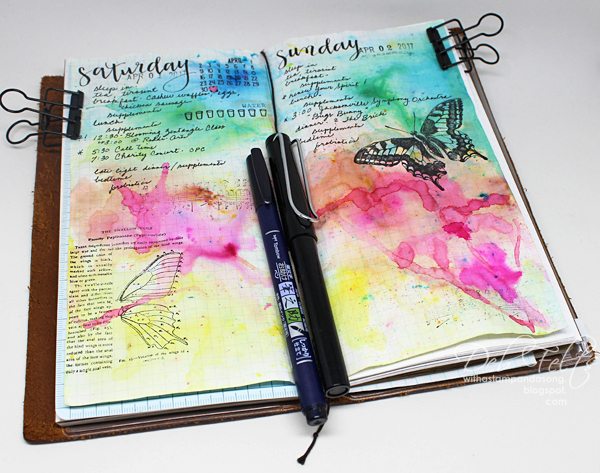 This page is ready to welcome the beginning of April, and all set to remind me to drink my water early on concert day tomorrow! Thanks for visiting! I hope you'll play along! 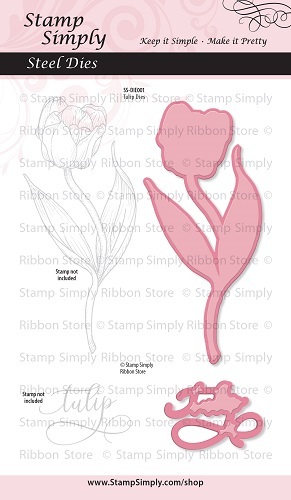 Be sure to visit Splitcoaststampers Virtual Stamp Night for more challenges and all of the details! 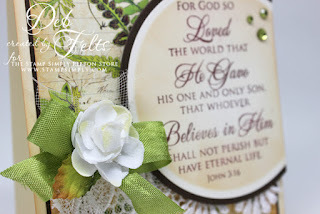 My Bible study girlfriends and I are studying the Apostles' Creed and have spent the last several weeks pondering the very foundations of our faith. 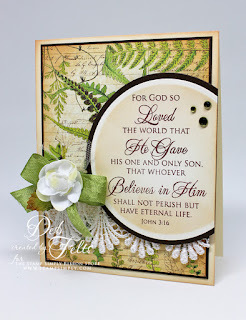 In the last three weeks we have read and discussed scriptures regarding God the Father, the Son, and the Holy Spirit, so I was drawn to stamp a card featuring this widely known and very profound passage using stamps and supplies from Stamp Simply. I am intrigued by all of the detail that God takes the time to give to us in His Word, and mesmerized by the fact that the entire Bible can be unraveled by the "one scarlet thread" of His Covenant. The Law was but a fore-shadowing of the One who IS the Word, and especially during Lent and Easter, this verse seems to speak even more powerfully. God speaks often and clearly to me through nature, and so Nature's Sketchbook was the paper I chose for the background of this card. 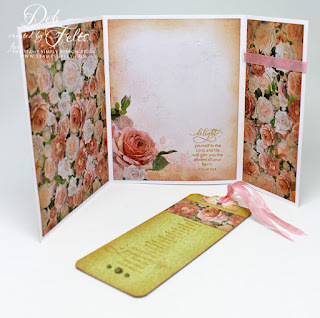 I kept the layout simple because I didn't want to cover up that lovely design. I often use embellishments in threes on my cards, but here it has a deeper, even more special significance, symbolic of the Trinity. I am so happy to be working with Sharon and the Stamp Simply team and their lovely scripture stamps! Thanks for visiting! 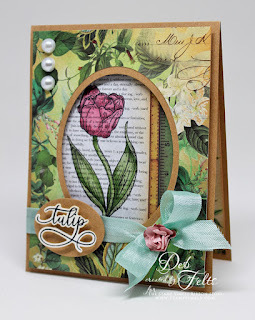 Yesterday's SCS sketch was an interesting, fun layout, inspiring me to create a card using supplies and stamps from Stamp Simply. 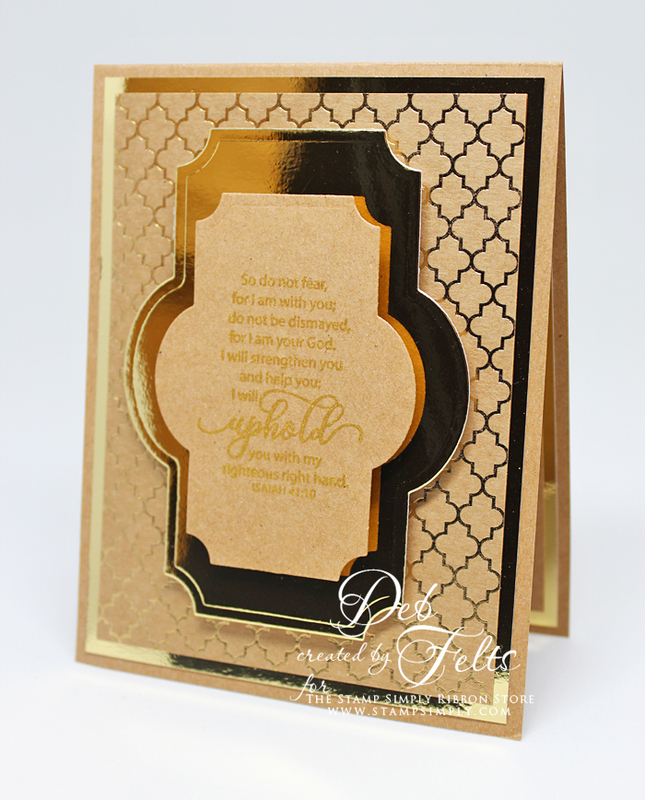 The punch-out elements from KaiserCraft's Hopscotch designer paper lent themselves well to the design and made this a quick and easy card. I punched a hole in the paper flower base to thread ribbon and twine ends through, then embellished the bow with a Spellbinders flower and leaves. This sketch really leads the eye from the top left to bottom right, and a sprinkling of rhinestones draw even more attention to the sentiment in the bottom right corner. Like many of the guys his age, my son loves gaming! He's in college now, but when he wants a break to relax and unwind, he will often pick up a controller and immerse himself in a game. Last week was midterms...he worked so hard and was really looking forward to Spring Break this week. This simple card with a sketched video game console and Eyelet Outlet's gamer brads is the perfect way to say I love you and I'm proud of you! 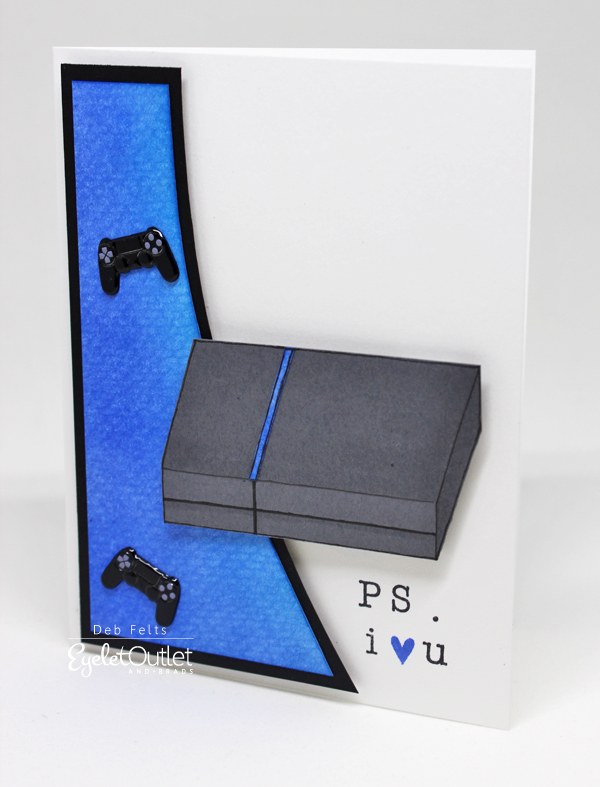 The contour and color of the background panel were deliberately designed to bring a certain gaming system to mind, and I used some click-together alphabet stamps to add a punny greeting. I think he'll like it! I hope you do too! 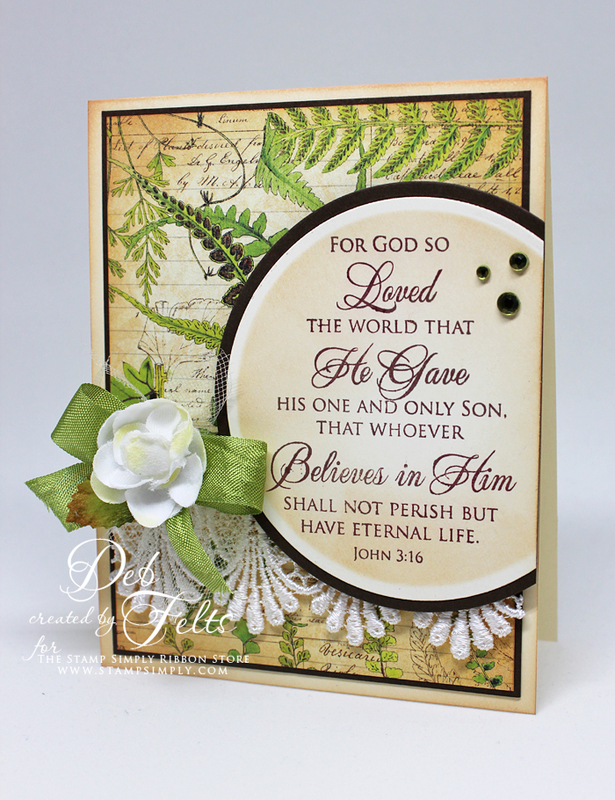 This verse from Philippians is one of my favorites, one that is worth returning to time and again, and it is even more lovely in this elegant font as a stamp from Stamp Simply. 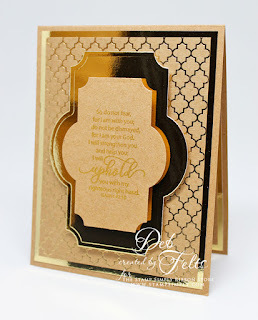 I decided to use it to make a card with the verse stamped in gold onto a removable bookmark which is held in place with a bow that loops around the front flap of the trifold card. A beautiful gold Thinking of You Rose is revealed when the bookmark is removed. Inside, the card is a profusion of roses along with another encouraging verse, this one from the Psalms. 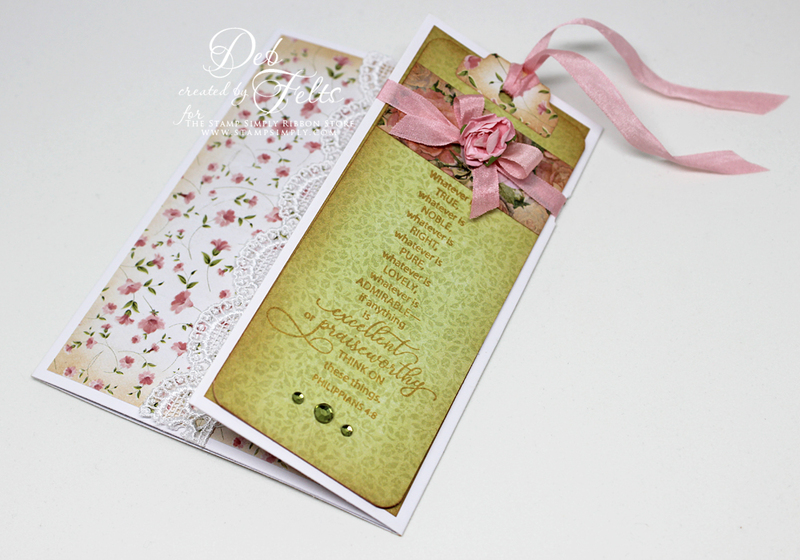 The bookmark has a pull tab embellished with ribbon, and a few sparkling jewels. Hi everyone! 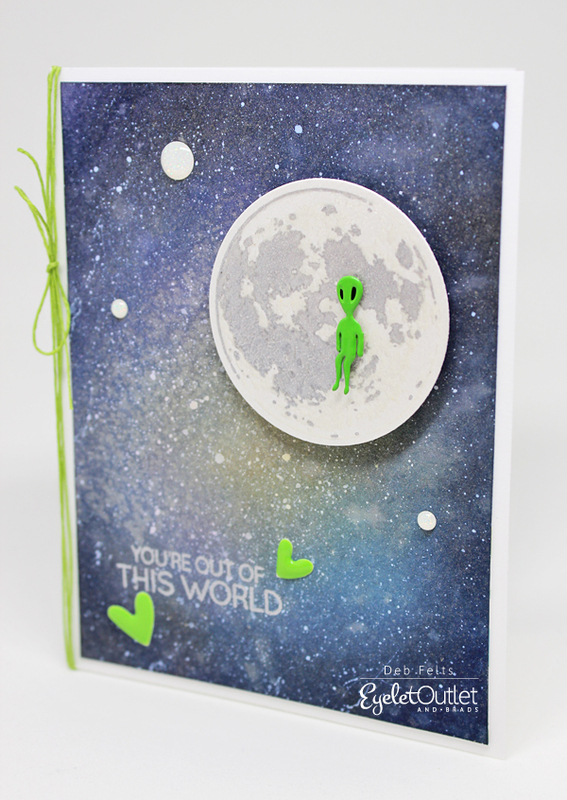 I recently got some new stamp sets and the new distress oxide inks and have been wanting to play around with them, so I created a galaxy background/space scene for one of our new brads, this fun green alien. 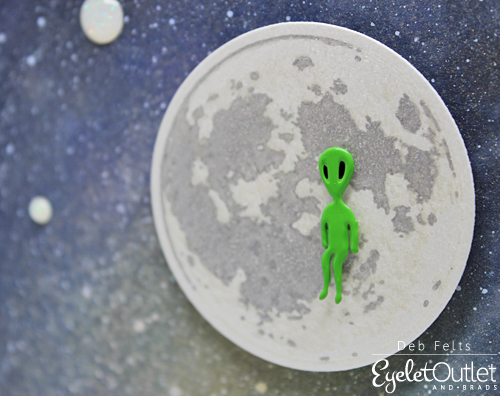 Here's a close-up so you can get a better look at him/her, along with a few glitter enamel dots that are scattered through the sky. To balance out that pop of green, I added some green enamel hearts from the bright enamel hearts set to frame the silver-embossed sentiment, along with a little green cording in the fold of the card. It's SO fun playing with new stuff, don't you agree!? At the first sight of the rose in the new Stamp Simply Thinking of You Rose clear stamp set, I had this card in my head, and with a glimpse of the fern in Nature's Sketchbook, the details of the whole tuxedo/boutonniere idea began to take shape. Lucky for me there was a wedding robe card video demonstrating this fun fold, which I modified to fit into a standard envelope. 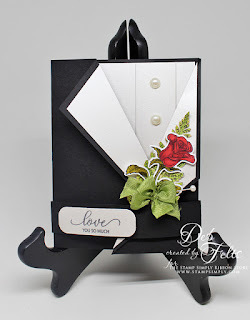 What a great card for a bride's groom, the groom's best man, groomsman, or even that special prom date! 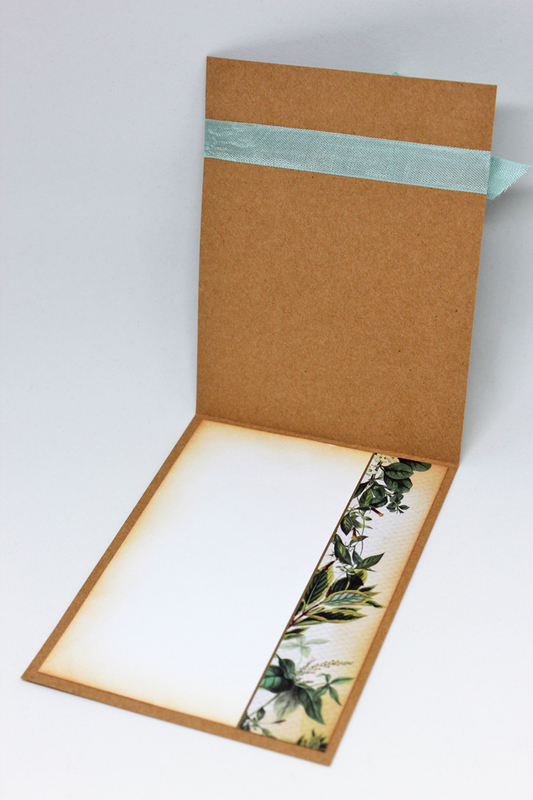 The card base is essentially a tri-fold card with lapels folded and trimmed into the front flaps. The boutonniere began with that fussy-cut fern from a sheet of Nature Sketchbook designer paper underneath the stamped and die-cut rose. 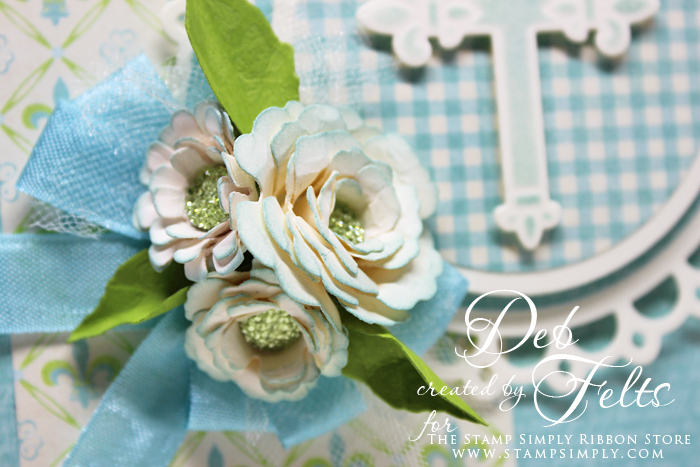 A pretty bow and pearl-headed straight pin gave it the characteristic corsage look. 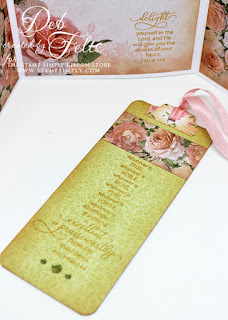 Welcome to Stamp Simply's Spring Release Blog Hop! Our designers are excited to share projects featuring four new stamp sets and two new coordinating steel die sets. Darsie's video showcases the new products and how to use them. My first card showcases the beautiful new Get Well Tulip and coordinating steel dies. 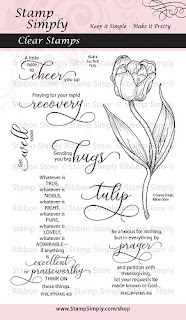 I stamped the tulip onto some text-printed designer paper and colored it with copic markers, then die-cut the sentiment. Here's a look at the inside. 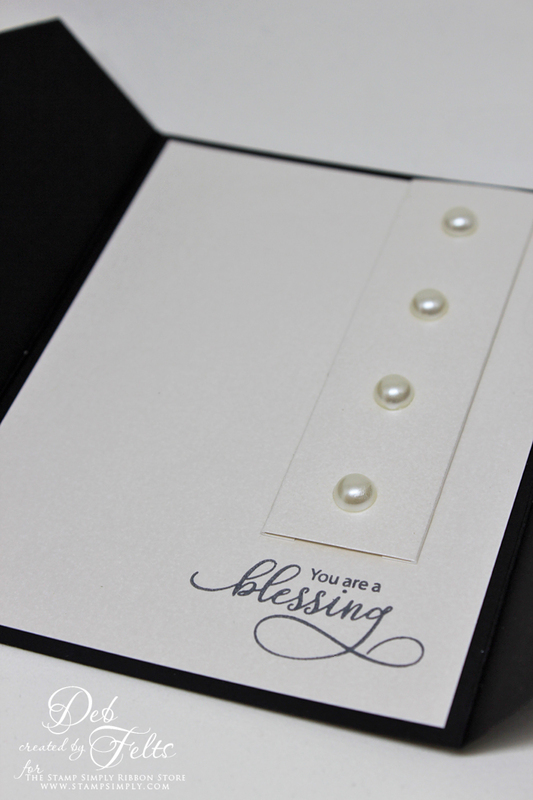 My next card is a very shiny clean and simple design using one of the new scripture stamp sets, Fear Not. 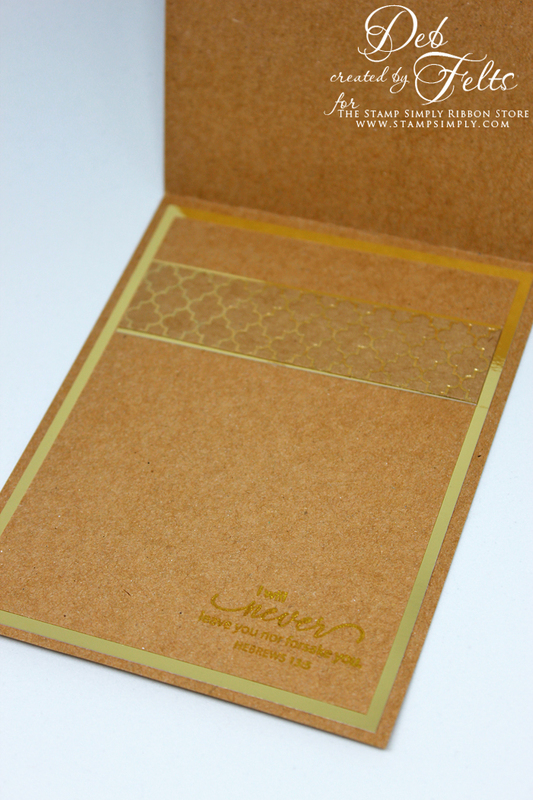 I love how metallic paper and some gold ink instantly step up the formality of a card. 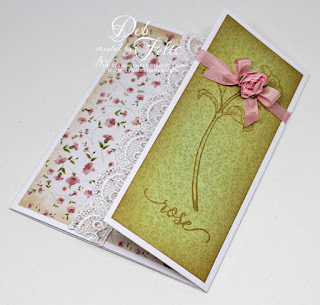 The sentiment and pretty paper can stand on their own without any embellishments, so this card would be an easy one to mail, and it would be just as appropriate for a fella as for a lady. 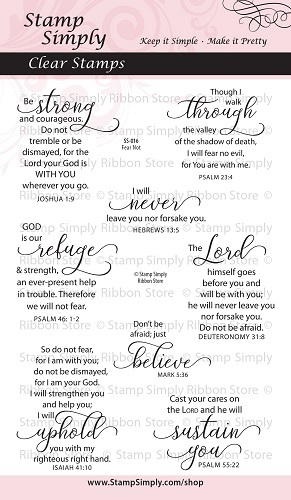 The words in both new scripture sets are so uplifting! 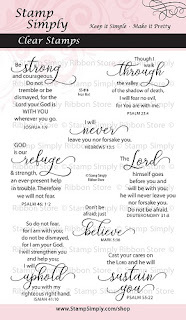 Life can be tough, and we all know someone who could use some Godly encouragement. And here are the links for the hop. Be sure to visit each one so you can see the projects using the other new sets that were not presented here! 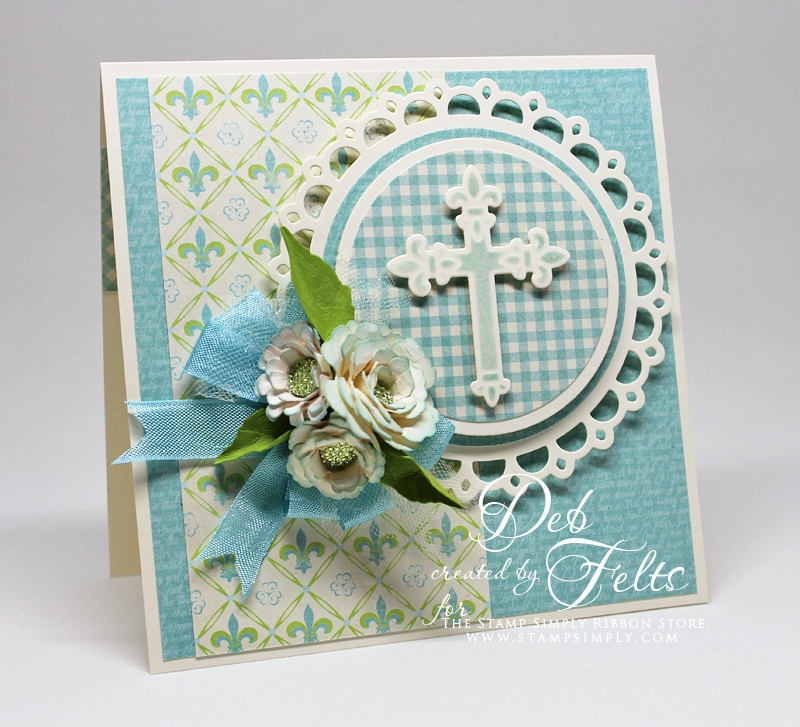 Tuesday was Mardi Gras, and I am leaving in less than two weeks for a quick trip to Louisiana, so these fleur de lis were calling to me when I sat down to create this Stamp Simply Easter card! 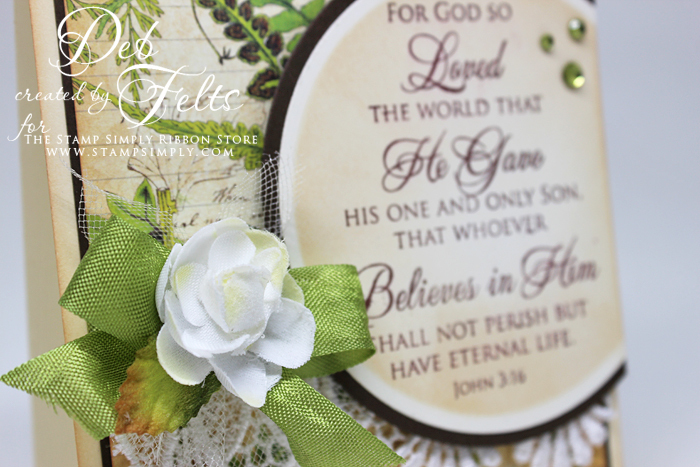 I love this color combo and the harmony of ivory blossoms, green leaves and sparkly flower centers against the hues of the background. 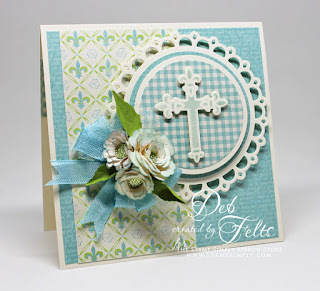 While some "hide the Alleluia" for the season of Lent, I chose to stamp Hallelujah for the inside sentiment. Matthew and I have our upcoming Orange Park Chorale concerts next weekend, so we've been rehearsing "Honor and Glory" and those Hallelujahs get stuck in my head, which I love!